It can be tough for those who are active to watch family and friends who are suffering from the ill effects of inactivity. Approximately 33% of deaths annually are due to heart disease. This article has some easy information for those wanting to get someone active. Cardiovascular disease (including heart, stroke and blood vessel disease) is still the leading cause of death in New Zealand, accounting for 33% of deaths annually. Every 90 minutes a New Zealander dies from heart disease, with 172,000 New Zealanders currently living with heart disease and are limited by it impacts. To onlookers it can seem straightforward to make changes with the threat of disease or early death, but for many of the New Zealanders who are inactive or at risk of heart disease due to insufficient exercise, or unhealthy food choices, making the change to a healthier lifestyle can often be in the too hard basket. The statistics are alarming but are often not enough of a reason for an individual to take the first step to change habits, even if health issues are starting to arise. That’s where friends and family come in by offering support and encouragement for someone who needs motivation to make changes; changes that may save their life. A good place to start is with getting active, as being physically active can reduce the risk of getting heart disease by 50%. There are also important extra benefits through eating a healthy diet and not smoking. 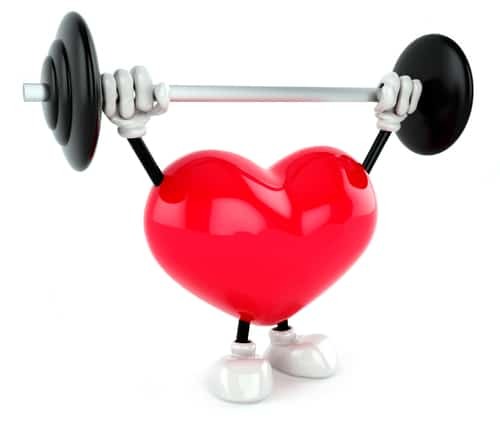 The benefits are not just for those wanting to prevent heart disease, as exercise can also lower blood pressure, and assist with reducing weight, which are both risk factors for heart disease. A good way to support someone to get moving is by offering the support and encouragement they need. This could be offering to exercise with them, educating them about how easy it can be, and that they are able to work at their own pace. Exercising with them could be something as simple as a walk or a stretching session to begin, or you could offer to take them along to your gym. Positivity works better at motivating people, so focus on achievements rather than stumbles. Encourage them to talk to or get information from someone who can give them good advice, either from a reputable online resource, or from a qualified expert. The first visit with an expert need not involved any actual exercise. Many exercise professionals will offer an introductory meeting to find out how it all works. While images of fit looking people doing great things can be motivational for regular exercisers, for someone new these same images can be quite intimidating. The reality is that while the media promotes unrealistic body types, a look around a gym or exercise facility these days shows just how diverse exercisers are, when it comes to age, size, fitness levels and health status. It’s worth knowing that every minute of exercise counts, with benefits increasing with time spent. The general recommendation is that 30 minutes a day, most days is enough to have a significant health impact. And more good news, the 30 minutes does not need to be completed in one session. This is a REPS media release. Find out more about reps by visiting their website.